Stop motion animation is a wonderful technique for creating movies from sequences of still images. Rather than a traditional film or video camera, a still camera is used to capture one image at a time. Because each frame is captured individually, adjustments and manipulation can take place without ever being visible in the final scene. For example, a claymation animator will move the clay model a tiny bit between frames to accomplish movement, but these actions will never be seen. There are many different tools and software for stop motion animation. While any number of free and paid applications will permit you to create stop motion video, they have varying levels of capabilities and complexities. 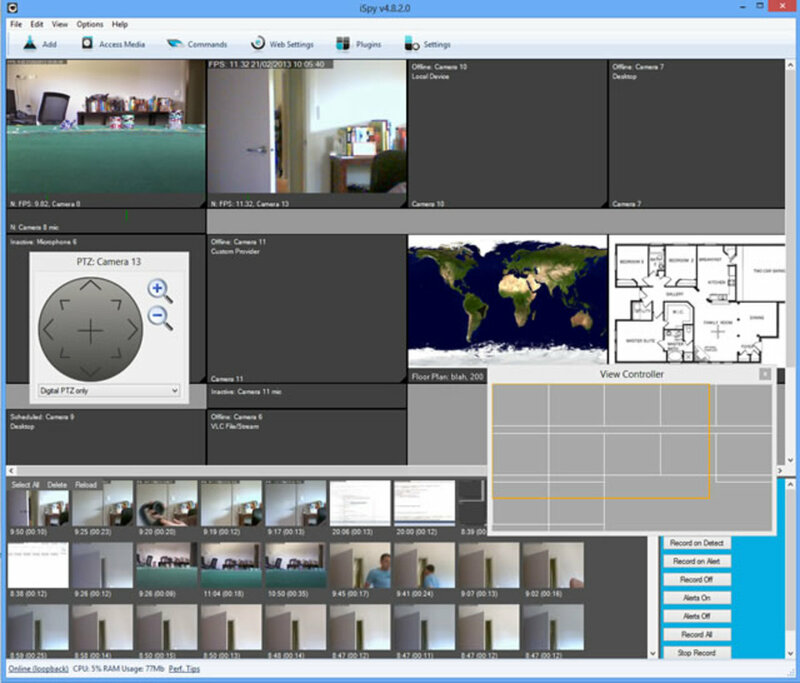 Ultimately, all the stop motion software must be able to do is combine the images into video clips. But being able to trim and export your clips in multiple formats will be much more useful in the end. Apple's QuickTime Pro provides a simple yet powerful solution to convert your images into stop motion animation sequences. With just four extremely simple steps, you can make a stop motion video and be ready to upload it to youtube or edit into a larger movie. And if stop motion isn't your thing, the exact same technique can be used to create a time-lapse video from images taken over a long period of time. The first step is to put all of your desired images in a single folder. These images should be for only one video clip. If your animation consists of multiple clips, put each collection of images in its own folder and do the following steps separately. It is important that all of the images are in sequential order by name. Fortunately, most digital cameras automatically number the images. But if you are creating stop motion frames by hand, it is important to name your files in increasing numeric order; no need to worry if there are gaps. Every image in the folder will become a part of the stop motion video clip. Fortunately, this makes it really easy to add or remove images in the sequence--all you have to do is delete or move an image into the folder! 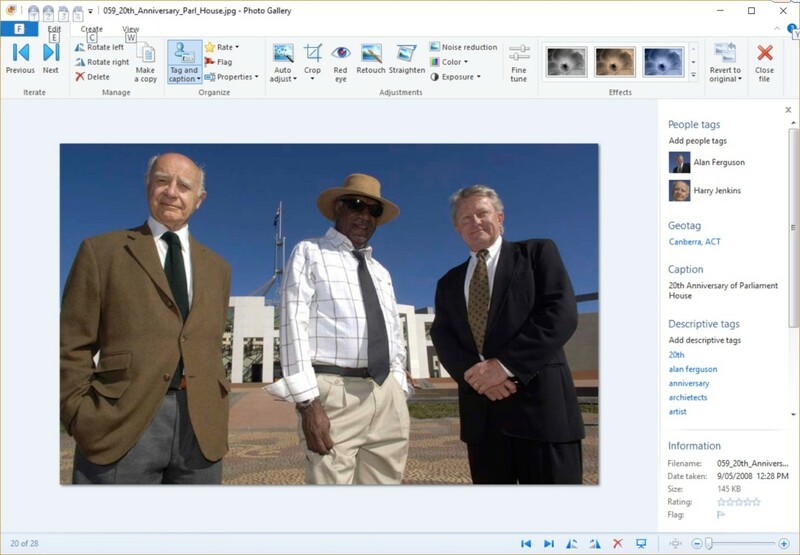 Once the images are in the folder, open QuickTime Pro and select File > Open Image Sequence. In the window that opens, navigate to your newly created folder of still images and select the first image. Every other frame will load automatically and in the order specified in Step 1. With the images loaded, you need to make a choice: what frame rate do you want your stop motion video to play at? 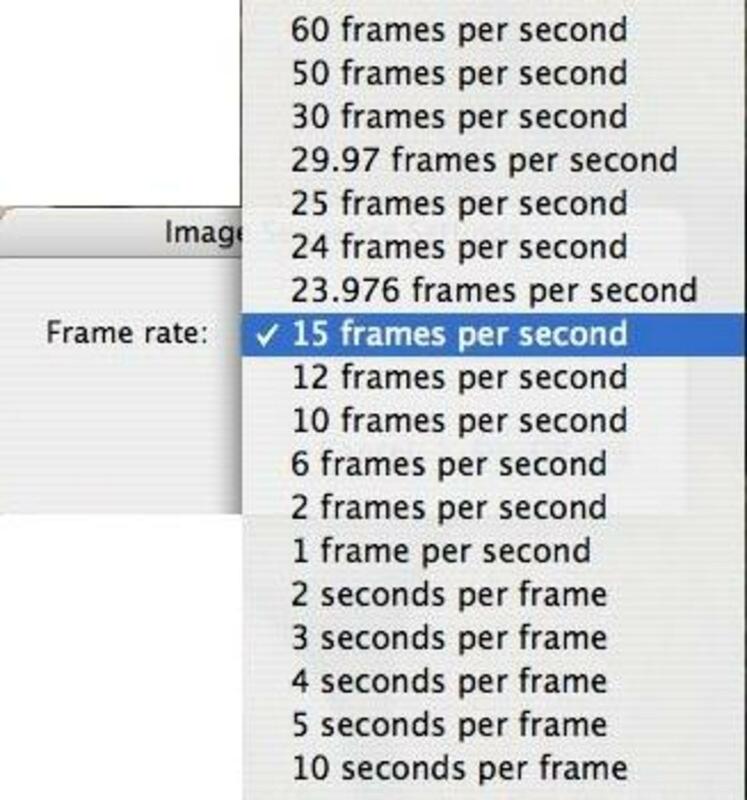 That is, how many images do you want to be displayed per second. The higher the frame rate, the smoother the animation will be. The slower the frame rate, the more jerky the animation will be. Most video cameras record at 60 frames per second (fps) while a cinema film will run at 24 fps. Television is broadcasted at 29.97 fps in the United States and 25 fps in much of the rest of the world. For stop motion animation, a frame rate of 15 frames per second is a good place to start and can then be adjusted upward or downward to get the desired smoothness. 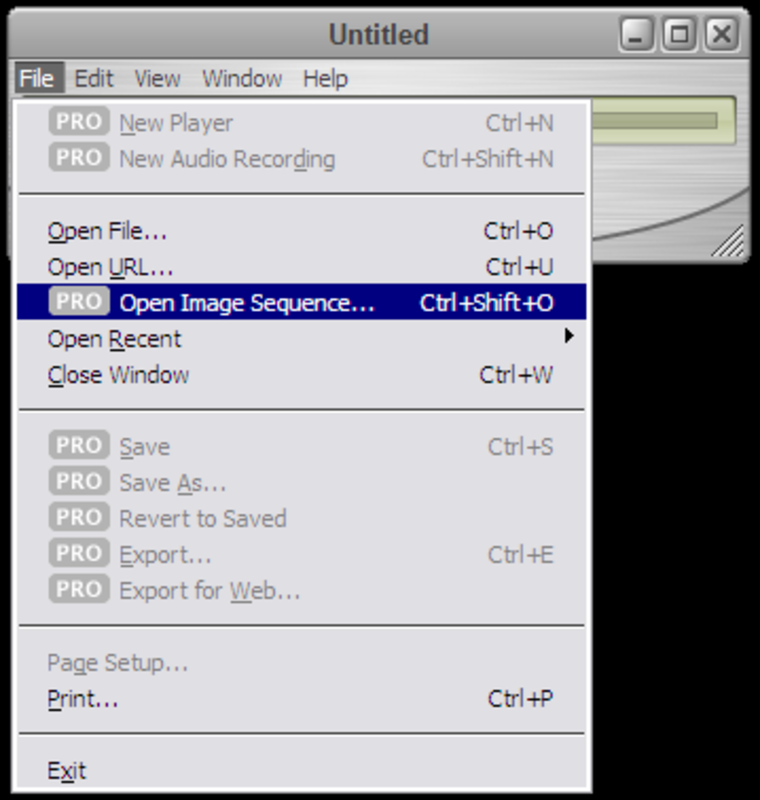 In Quicktime Pro, you can change the frame rate by not saving the clip and then reopening the image sequence as in Step 2. The frame rate has one more important effect on your final stop motion animation: the speed. A faster frame rate will speed up the action while a slower frame rate can make things appear in slow motion. Fortunately, the speed is also decided by the number of images you have. Choose your frame rate based on your desired smoothness, then add images to your sequence to make the video slower, or remove images to to make the action faster. Any time you change the frame rate or the images in the folder, you will have to start back at Step 2. Once you've figured out your sequence and frame rate, the final step is to export from QuickTime Pro to a rendered video clip. To complete this task, go to File > Export. From this menu, you have a variety of options but also a number of presets. Unless you know what you are doing, select a preset for how you plan to use your video. YouTube lists some recommended export settings for QuickTime Pro if you plan to upload your new stop motion video. Congratulations! If you've made it this far you now know a simple way to create stop motion animation on your computer! Once you understand the basics, you'll be able to branch out and start making some pretty great effects. The clips in the Laser Tag example below were created using QuickTime Pro. All that was necessary to create the lasers themselves was to open the images in paint and draw a green glow before importing. 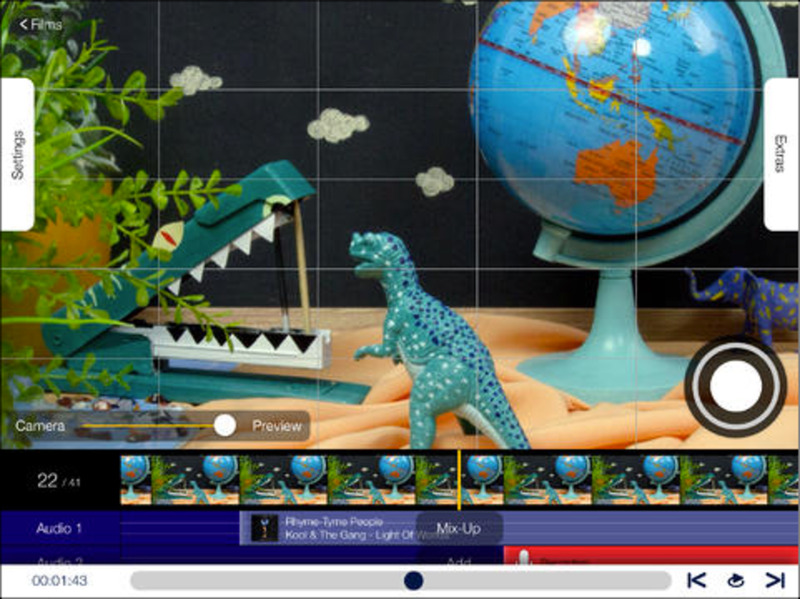 You don't need any fancy software to create amazing stop motion video. Just get out, play around, and be creative! 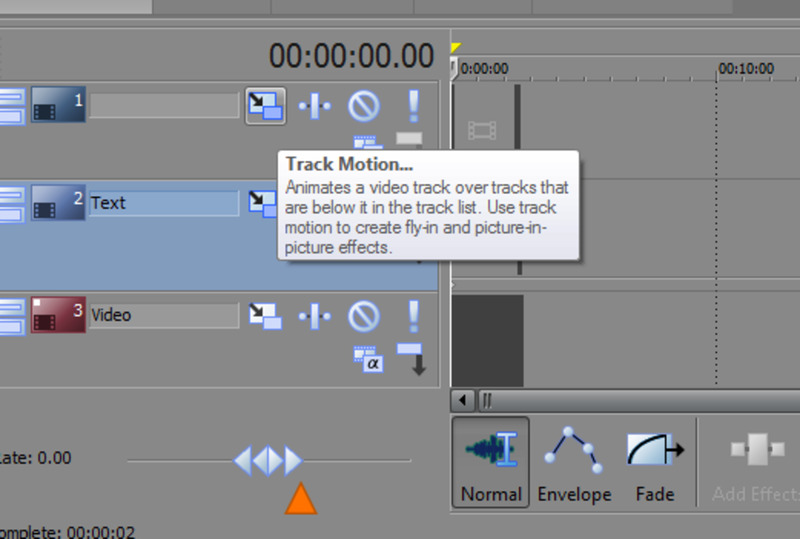 As an aside, the one downside to this method of stop motion video is the requirement for QuickTime Pro. Almost every computer these days has the more limited QuickTime Player. But if you want to do more than just watch .mov files, the upgrade will be necessary. Fortunately there are some other useful capabilities added when you upgrade to QuickTime Pro. These include easy ways to convert to/from the .mov format and the ability to easily trim video clips to shorter lengths. It is extremely useful to have a quick way to cut off the beginning and end of a clips. Quick Time is no longer supported on windows. so an other option is to rent the Mac software for 1 dollar an hour or 20$ a month. Great! Glad it helped, ThePalGuy! Thank you very much. This is my first time doing stop action animation and this site has really helped me out. Thanks creativesuite10! Glad you enjoyed it. Ausyeda, have fun with it! It all depends on how long you want the video to be, and how smooth you want the animation. Feature films like Coraline that are completely stop motion are 24 frames per second. But you can probably get by with 10 or 15. Meaning 3,000 - 4,500 for a 5 minute video. haha first off, that video is epic! Second of all, I didn't realize how easy it was to make stop motion animation videos! Wow, you have opened up a whole new world... out of curiosity, how many still images (on average) do you end up taking for a stop motion video? Thanks for the comment, flipultrahdcamera! I'm glad you found it useful! Thanks for the comment, JCO! I checked out your videos and you're definitely off to a great start. I'll keep my eye out for some new stuff from you! Cool article. I've been doing some stop motion animation using GIMP and Windows Movie Maker, but it can be frustrating at times. I'll have to look at Quick Time (assuming it's available on Windows).